The Blue Team has a President. 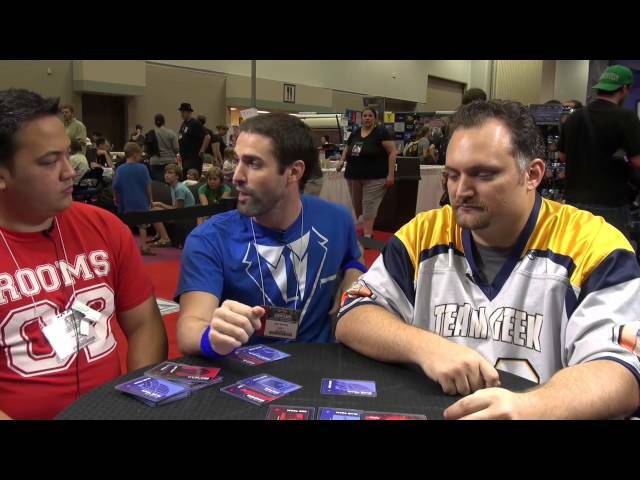 The Red Team has a Bomber - but no one knows who is who. Can the Blue Team keep the Bomber away from the President until the timer goes off? Who can you trust, and how quickly can you decide? 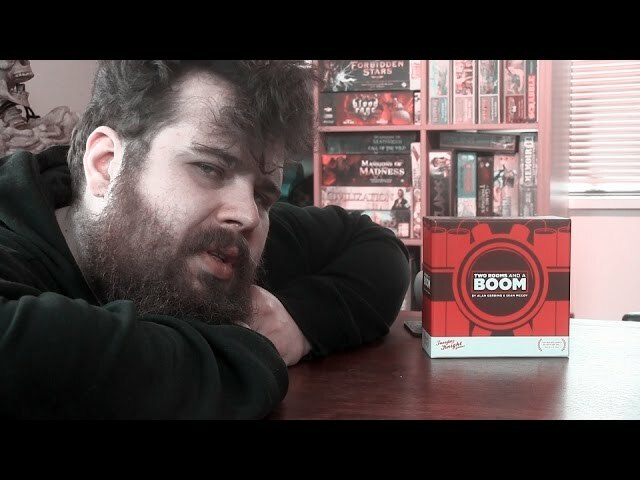 Two Rooms and a Boom is a social deduction card game for large groups, with players each given a random role (from an innocent bystander to a Spy to the Bomber himself) and then separated into two rooms. Once separated, players must elect leaders who will be in charge of transporting players between rooms and electing new leaders as necessary. After five exchanges (with each exchange becoming faster and faster) the game is over - the Red Team wins if they have managed to get the Bomber into the same room as the President; otherwise Blue claims victory! Buy Two Rooms and a Boom for a large scale, fast playing party game with dozens of different roles, loads of lying, and the possibility for some explosive tension.